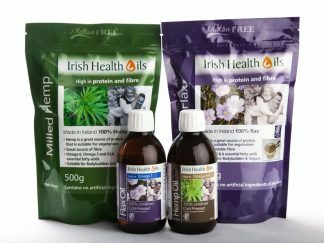 Irish Health Oils Hemp Oil is made in Ireland, using the same hand pressed methods as our Flax Seed Oil. 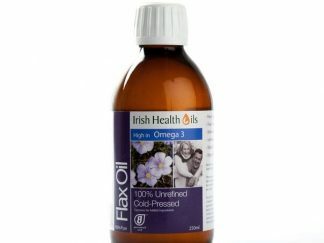 Hemp oil is a blend of Omega 3 and 6 that mimics natural body fats. 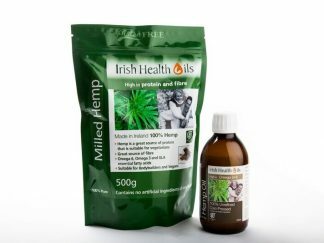 This natural blend means that Hemp oil is suitable for all ages and is suitable to be taken every day as part of a healthy diet. 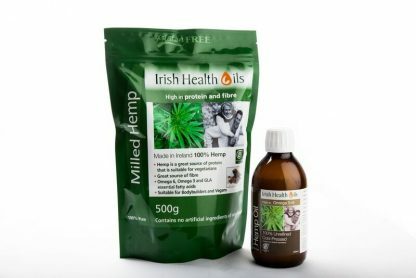 Our milled Hemp is one of nature’s perfect foods – a Super Food. This is one of the most potent foods available, supporting optimal health and well being, for life. Milled hemp contains the ideal ratio of omega 3 and 6 to ensure the suitability of this product for long term use. Ideal as an ingredient for cooking or can be taken on food. 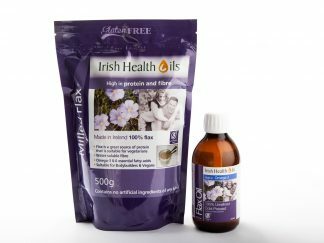 Contains NO artificial ingredients of any kind..